Cambridge Health and Rehabilitation Center welcomes you, and thanks you for choosing our center for your healthcare needs. 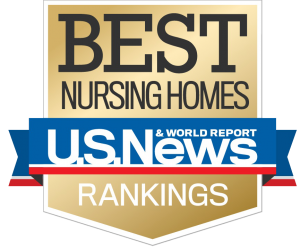 An exceptional community healthcare resource for many years, we exceed expectations in meeting the needs of individuals who require short-term rehabilitative care following hospitalization, or are in need of long-term skilled nursing care. Our staff of concerned and dedicated professionals is committed to helping everyone through providing support and guidance on a one-to-one basis. Whether you join us for a brief stay or call us your home, we want you to feel as comfortable as you would amongst family, while receiving care such as physical therapy, occupational therapy, or speech therapy. Cambridge Health and Rehabilitation Center also provides a myriad of medical services including pulmonary rehabilitation, heart failure services for CHF, cardiac recovery, amputee rehabilitation, stroke rehabilitation and wound care management to name a few. Cambridge Health and Rehabilitation prides itself on our customer service and maintains a common commitment to the highest level of quality care, a focus on customer service providing a nurturing environment for both patients and families. 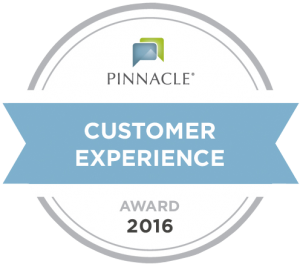 We are pleased to have received a “Customer Experience Award – 2016” from Pinnacle Quality Insights demonstrating our center’s commitment to the “Four Pillars” of our mission statement: Kindness, Compassion, Service and Excellence. I visited Cambridge Health & Rehab Center to serve communion on 1st Sunday and met the staff. While I was there I felt love, joy, and peace. Courtney leaves you with a smiling face. She has so much patience. You can’t help but love her. Thank God for all of you. I chose Cambridge Health & Rehab Center because of its reputation and location. Everyone on my team was great.